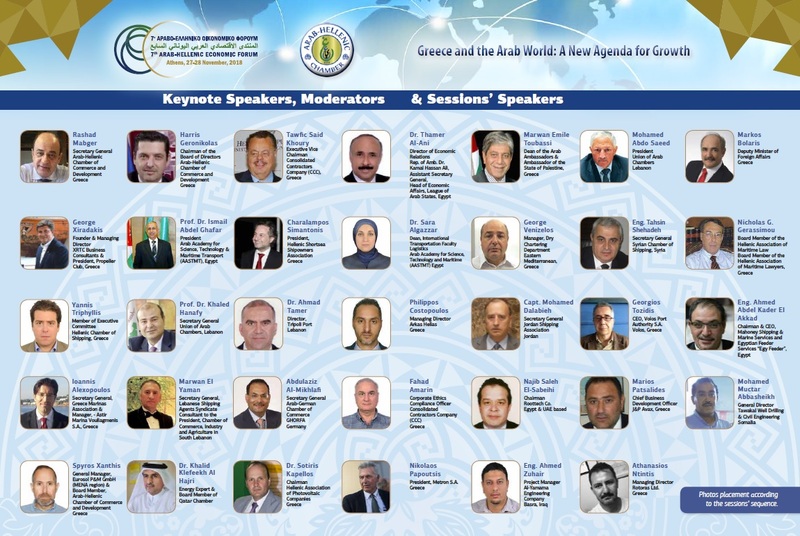 Following our previous announcements regarding the 7th Arab-Hellenic Economic Forum, the Arab-Hellenic Chamber announces the updated lists of Arab business delegations that are willing to participate in our event (you can find them by CLICKING HERE). The final ones will be given to the participants on Wednesday, 27 November, upon their registration at the Forum. *We would like to clarify that the direct B2B meetings will take place in all business sectors and will not be limited to the sessions’ topics. The list of speakers can be FOUND HERE. You can download the draft agenda by CLICKING HERE. The interested parties are invited to register by CLICKING HERE. We are expecting you all there!